What is a "dual presidency?" Germany and France are both currently serving on the UN Security Council. France has a permanent seat, meaning that it is always a member of the UN's most senior body. Germany was elected to serve on the Security Council for a two-year term throughout 2019 and 2020. The two EU countries each occupy the chair for one month — France in March, Germany in April. As a symbol of their close cooperation, they decided to dovetail these into a first "dual presidency" — France has described it as a "twinning arrangement." The presidency will formally pass from France to Germany at the end of the month, but in practice there will hardly be any change, as both countries will continue jointly to occupy the chair. This closer UN cooperation was agreed by Berlin and Paris as part of the Treaty of Aachen. One focus is crisis prevention in Africa. Germany and France want to see continued support for the UN mission in Mali, and close collaboration on peace and security in Burkina Faso. They also want to make things easier for humanitarian aid workers worldwide by ensuring that they are better equipped and protected. German foreign minister Heiko Maas plans to present an initiative to this effect in New York at the beginning of April. Another main focus is combating the small arms trade in the Balkans: They want to see better cooperation with the authorities in this area, and for this to serve as an example for other regions. Germany, in consultation with France, also wants to recruit more women to participate in politics, and is also campaigning to stop sexual violence in conflicts. Disarmament is another important issue. In April, Germany will chair a Security Council meeting on nuclear non-proliferation and disarmament. What have Germany's priorities been in the Security Council to date? From the beginning, Germany has placed an emphasis on promoting the idea of the UN; i.e., international cooperation and collaboration. Germany and France have adopted their multilateral approach in opposition to the growing nationalism of people like Donald Trump. The "dual presidency" already symbolizes this idea, but Germany and France have also coordinated closely with the other European members of the Security Council (currently the United Kingdom, Belgium and Poland). The EU countries are working together to preserve international agreements and treaties, like the Paris Climate Agreement and the INF Treaty on nuclear disarmament. Within the Security Council, Germany and France are also insisting that UN resolutions must be adhered to: Germany's Permanent Representative to the UN, Christoph Heusgen, for example, was recently strongly critical of the United States for breaking international law by recognizing Jerusalem as the capital of Israel, and for its opposition to the UN resolution on the Golan Heights. Why does the UN seem so powerless when it comes to major crises? The Security Council is indeed often divided over the big questions in global politics. For example, the Council has been unable to agree a resolution on Syria for years now, because the United States and Russia are pursuing different interests in this regard, and both have veto rights within the UN's most senior body. The Security Council has also been unable to agree a common approach to the crisis in Venezuela:Germany, France and the other European countries supported a US resolution that called for aid to be delivered and the holding of fair elections. Russia and China, however, used their vetoes to block this resolution. Yet again the UN Security Council was divided in its evaluation of a conflict, simply reflecting the division in the international community of states. 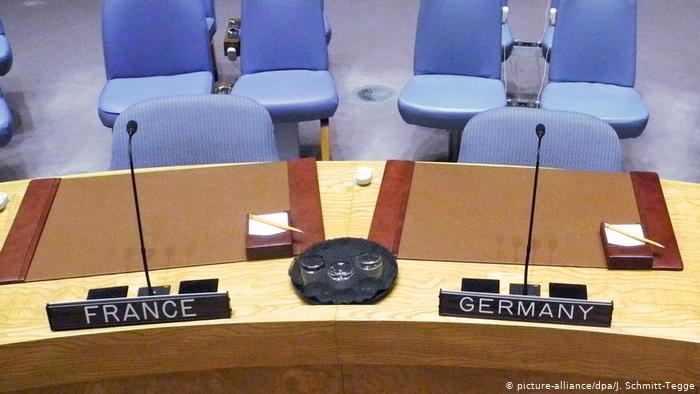 Will Germany get a permanent seat on the Security Council? Germany has been campaigning to be given a permanent seat on the Security Council ever since German reunification in 1990. Just recently, in the Treaty of Aachen, Germany and France declared a reform of the United Nations and a permanent seat for Germany to be one of their common goals. 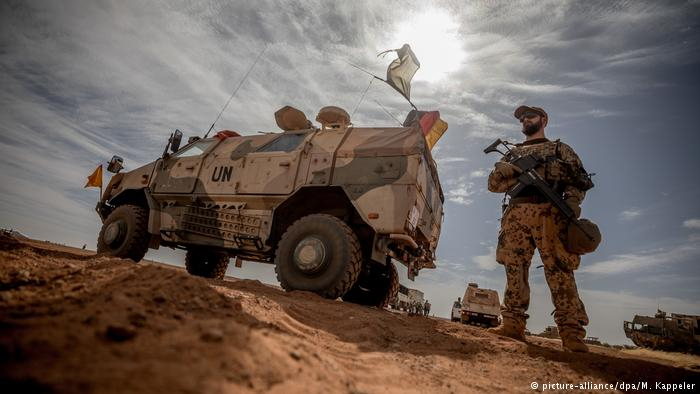 Germany has many arguments on its side: It's the fourth-largest contributor to the UN budget, the biggest provider of troops within the UN framework, and is active throughout the world in areas that matter to the UN, such as climate policy, human rights, and disarmament. Germany is not alone in campaigning for reform: Brazil, Japan and India are also fighting for new seats on the UN Security Council. In practice, though, the UN is moving towards reform "one millimetre at a time," as a UN diplomat commented recently. Germany must make the most of its time as an elected member in the highest UN council — it won't be a permanent presence there any time soon.